The Centre has raised the minimum support price (MSP) of wheat by Rs 50 a quintal to Rs 1,450 a quintal for the 2015-16 crop marketing season, and that of mustard by an equal amount to Rs 3,100 a quintal. Wheat sowing begins in October and harvesting starts from April. The government procures wheat from farmers during April-June. "The prices are on the recommendations of the Commission for Agricultural Costs and Prices and will help in higher production through assured remunerative prices to the farmers," said an official statement issued after a Cabinet Committee on Economic Affairs meeting. The MSP of masur (lentil) saw the highest increase, Rs 125, taking the it from Rs 2,950 to Rs 3,075 a quintal. Wheat and mustard are the main crops grown during the rabi season. Among others, the MSP of gram has been raised by Rs 75 to Rs 3,175 a quintal, while that of safflower has been upped by Rs 50 a quintal to Rs 3,050. The National Agricultural Cooperative Marketing Federation, National Cooperative Consumers' Federation, Central Warehousing Corporation and Small Farmers Agri Business Consortium will be the nodal agencies for procuring oilseeds and pulses if the market price drops below the MSP, the statement added. Federal Minister for Finance Senator Ishaq Dar said on Monday the government will withdraw all levies and duties on potato import, if its prices in the local market are not brought down to less than Rs30 per kilogramme in the next 72 hours. He was chairing a meeting to review the prices of agriculture products. Taking cognizance of the price of potatoes at Rs50 per kg in the local market, the minister said that the profiteers would not be allowed to manipulate excess margins by holding supplies. It was the second meeting over the prices of agriculture produce in the last three days. The minister was informed that there were nearly 1.1 million tons of surplus potatoes in the country. Hoarders, speculators and middlemen are manipulating the market prices. In India, the potato is being sold at much less price. The minister said that the government was very serious on keeping the prices of the essential commodities at appropriate level. He added that the government would take all necessary steps to devise expeditious mechanism to bring down the prices. Our correspondent from Lahore adds: ­Farmers expressed on Monday deep concern over the reported shortage of table (edible) potatoes in the country. The concern came up in a joint meeting of Farmers Associates Pakistan, Okara Potato Growers Society and Pakistan Kissan Ittehad. They said 18 to 20 percent of the winter crop is still in the fields, while harvesting of spring crop has also started. Thousands of tonnes of potato are also stored in cold storages all over Punjab for supply. Arrival of summer crop from northern areas will start in June, they said. Presently, the maximum retail price of table potato is Rs60 per kilogramme, which is cheaper than all the available vegetables. Farmers’ representatives said potato is easily available from fields at Rs40 per kg. Because of unfavourable weather, cost of production of potato went up to Rs35 per kg. Farmers said there is a propaganda going on to facilitate potato import from India. Indian government is giving huge subsidy to its agriculture productions and export of agricultural commodities, they said. Import of duty free potato from India will affect Pakistani farmers. The farmers’ organisation demanded that the import duty on potato should be increased up to 50 percent. This is important to mention that India has banned the import of potato from Pakistan to safeguard its own farmers. A national conference on orchids, held on Thursday by the Kerala Agricultural University (KAU) and The Orchid Society of India (TOSI), called for strategies to increase cut flower export. Inaugurating the conference, N.K. Krishnakumar, Deputy Director General, Indian Council of Agricultural Research (ICAR), said steps should be taken for securing the Intellectual Property rights for indigenous varieties of orchids. “India should be proud of its orchid treasure. Understanding biodiversity is the foundation for conserving orchids. Multiplication through biotechnological methods should be encouraged,” he said. He pointed out the importance of maintaining ecological balance. “Deriving livelihood from nature is inevitable. But it should not go beyond admissible limits and upset ecological balance. Conservation of biodiversity leads to protection of many organisms that we may not even know. On the other hand, extinction of a single species known to us may also decimate many unknown organisms. Recent reports on Indonesian oil palm plantations swallowing Orangutan habitats are disturbing. We already know the absence of honey bees in modern mango plantations. The future of pristine honey is in peril,” he added. KAU Vice Chancellor P. Rajendran said development of orchidology could generate rural employment. “It will help women find more jobs. The KAU is involved in research and development of orchids and has developed several varieties. Despite considerable advancements in the branch of study, India is much behind Vietnam, Thailand and Malaysia. Climate and other factors in Kerala are favourable to orchid cultivation,” he added. Presiding over the function, scientist A.K. Bhatnagar stated that farmers should make use of the orchid diversity in India. “Many orchids have medicinal properties. Some of them were used in ancient ayurvedic preparations,” he said. Paramjjit Singh, Director, Botanical Survey of India, spoke about the activities of the BSI and pioneers of Indian orchidology. Those present on the occasion included T. R. Gopalakrishnan, KAU Director of Research; H. B. Singh, Senior Scientist, Department of Science and Technology; P. K. Rajeevan, Vice President, TOSI; Promila Bhat, organising secretary; and P. K. Valsalakumary, coordinator. The Usha Vij Awards for 2014, instituted by the TOSI, were presented to S. C. Mishra (Odisha) and Anil Sood (Punjab). Jammu and Kashmir government has set its target to bring 3,715 hectare land under the Saffron Mission. Minister of State Animal Husbandary, Nazir Gurezi informed the Legislative Council that total area targeted to be brought under Saffron Mission is 3,715 hectare, of which 1,867 hectare have been rejuvenated till date. He was replying to a question by Sheikh Ghulam Rasool. The Minister said the Mission is underway and the target is to be achieved in phased manner, adding that the yield of the saffron in the area replanted two years back has increased from 2 kg per hectare to 4 kg per hectare. Gurezi further informed that no report regarding showing of substandard corms has been received as the replanting was carried out under strict supervision of departmental functionaries. "No new varieties of Saffron have been introduced and only local seed corm is taken for multiplication and introduction in different traditional areas which are suitable and acclimatized to local environment", he maintained. Cut flowers (rose) exporters from South India are banking on a long Valentine weekend, production drop in China and Africa to help their profits bloom this year. “We see this long buying season (three days) an opportunity to sell more roses. Traditionally, long weekend means daily sale for three days,” V Jhansi Laxmi, Vice-President, South India Floriculture Association (SIFA), told Business Line. “In addition to long weekend, harsh winter in Europe, production drop in China and Africa is likely to help growers get higher prices,” she added. Grower-exporters, mainly small and medium units, spread across Bangalore and Hosur in Tamil Nadu are expecting a surge of 20-25 per cent in exports this year. “This Valentine season, we expect exports to be in the range of 5- 6 million rose stems compared with 4 to 4.5 million rose stems last year,” said Laxmi. Exports are heading mainly to European cities such as Amsterdam and London, Gulf countries, Singapore, Australia and New Zealand. This year, the Russian market has opened for India. Meanwhile, all is not rosy for the flower trade. The industry is also facing severe rejections in major markets abroad. According to VH Prasad, Director, Blooms & Greens, this year due to widespread mite presence, we are seeing 25 to 30 per cent rejections in addition to phytosanitary issues. The industry has brought to the notice of State and Centre the lack of phytosanitary certification facility at the new Kempe Gowda International airport. This is impacting exports severely,” he said. The local market for flowers and cut flowers (roses) in India has picked up well with the tradition, culture and festivals to celebrate, in addition to weddings. This has led to demand for roses coming from Hyderabad, Chennai and other north Indian cities led by Delhi. This rise in demand has resulted in prices hardening. Prices of roses have already begun to move up. Flowers prices are up 45 per cent this year at Rs. 8 a stem compared with Rs. 5.5 last year. “To give a boost to growers and to broaden the domestic market, SIFA and International Flower Auction Bangalore (IFAB) have come up with a plan to sell about 2.5 (25 lakh stems) million during the Valentine week (February 8-14). For this we are involving 180 growers and 80 buyers registered with IFAB,” said CG Nagaraju, Managing Director, IFAB. Chandigarh is often referred to as City Beautiful and this has much to do with the city’s lush gardens and green cover. Even residents of the city take pride in their patches of green. The fact that Chandigarh will host the country’s biggest floriculture and horticulture exhibition comes as a well-deserved compliment. This is something that Jafar Naqvi, president, Indian Flowers and Ornamental Plants Welfare Association (iFlora) agrees with. “Chandigarh is one of the most prosperous horticulture production zones of India representing Punjab, Haryana and Himachal Pradesh,” said Naqvi who was in the city to announce the 9th edition of the International Flora Expo, 2014 and the 6th International Horti Expo, 2014. So far, Delhi was the host city for the international expo. To be organised from February 20 to 22, the Chandigarh edition will have on display the horticulture and floriculture wealth of the country with theme pavilions presenting fresh fruits and vegetables, flowers from across the country, organic produce, processing and packaging facilities and medicinal herbal products. With delegates from 17 countries including Holland, Spain, Italy and Germany expected to participate, technologies and inputs in the field will also be on offer. “This event is a platform to transform Indian sector from traditional culture to farm business and will offer inputs required to turn a piece of land into flourishing floriculture and horticulture business,” said Naqvi. The Indian floriculture industry comprises flowers such as roses, tuberoses, gladioli, anthurium, carnations and marigolds. “India’s total floriculture export was Rs 423.43 crore in 2012-13. The major importing countries were USA, Netherlands, Germany, United Kingdom, Japan and Canada,” Naqvi said. Apart from technical information, visitors will also get to see a bounty of blooms collected from nurseries in Pune, Hyderabad, Kerala and Uttar Pradesh. Plants that fight toxic gases and nullify pollution will also be on display. Naqvi said, “iFlora and Flora Expo aim to increase flower consumption to give more impetus to the floriculture industry. Flower importers are shifting their focus to India and Ethiopia for cheaper flowers in the wake of rising cost of production in Kenya, the world's largest horticultural exporter, the State of East African Report Series shows. "Ethiopia could become more competitive than Kenya, while India could overtake Kenya in floriculture, if the challenges are not addressed in Kenya," Mosses Ikiara, managing director of the Kenya Investment Authority (KenInvest), said. Currently India's flower exports are about a tenth of Kenya's. India exported flowers worth $59 million in 2011-12, a growth of 23.3 percent from the previous year, with projections showing revenues to double by 2015. Ethiopia's horticulture industry earned $265.71 million in 2011-12, up from $224 million the previous year, a 19 percent increase. Data from the Horticultural Crops Development Authority (HCDA) shows that in 2012, Kenya's flower exports stood at $503 million, a four percent drop from $523 million in 2011. Output increased marginally to 123,000 tonnes in 2012, from 121,000 tonnes the previous year. Kenya may lose its position as the world's largest horticultural exporter because of compliance bottlenecks and uncertainty over trade talks between the UN Economic Commission for Africa (UNECA) and the European Union (EU), the East African report shows. Keninvest, the body charged with promoting investment in Kenya, says the horticultural sector, especially the cut flower business, which brings in the bulk of horticulture income, is facing threats, which could complicate its current standing as the world's leading source market. There are concerns that flower importers are shifting focus to Ethiopia and India, which have cheaper flowers than Kenya. Flowers constituted the biggest share of horticultural revenue earning $212.56 million in 2012, up from $178.3 million in 2010-11. During the last decade, the area involved in production of horticultural crops in India has increased by 32 percent - from 16,592 thousand hectares in 2001-02 to 21,825 thousand hectares in 2009-10 - whereas production increased by 65 percent from 145,785 thousand tonnes to 240,532 thousand tonnes. Increase in production is more than twice the increase in area. This is indicative of improved productivity, which still has considerable scope for improvement. Keeping in view the importance of the horticulture sector, the Indian government launched a centrally sponsored scheme called the National Horticulture Mission (NHM) in 2005-06. The objectives of the mission are to enhance horticulture production and improve nutritional security and income support to farm households and others through area-based regionally differentiated strategies. Crops such as fruits, spices, flowers, medicinal and aromatic plants, plantation crops of cashew and cocoa are included for area expansion whereas vegetables are covered through seed production cultivation, integrated nutrient management, integrated pest management and organic farming. With the implementation of NHM and other schemes, the production of horticultural crops has increased from 170.8 million tonnes in 2004-05 to 214.7 million tonnes in 2008-09. The per capita availability of fruits and vegetables has increased from 391 grams per day in 2004-05 to 466 grams per day in 2008-09. In Kenya, production costs have gone up by more than 30 percent over the past year, mainly due to labour, power, fuel, chemicals, fertilisers and other inputs. The sector currently pays 41 different taxes and levies to various government bodies including the Kenya Revenue Authority (KRA) and the Horticultural Crops Development Authority (HCDA). Desert state of Rajasthan has decided to take the ornamental path to tap the booming flower market by pro-actively promoting cultivation of decorative flowers like orchid, bird paradise and anthurium in select districts. Some areas in the state are mainly producing marigold, roses, jasmine and now the government plans to encourage cultivation of popular ornamental flowers like Gerbera, bird paradise, Rajnigandha, tulip, lilium, orchid and anthurium due to its high potential, Agriculture Minister Prabhu Lal Saini said. "We have decided to focus on the concept of decorative flower cultivation in the state and districts like Jaipur, Baran, Bundi, Sirohi, Alwar, Ajmer, which are suitable climatically, have been identified for cultivation," Saini said. "The market opportunities are enormous as the demand of assortment of decorative flowers is on rise significantly due to increasing consumption at weddings, other functions and home decoration needs," he said, noting that major share of such flowers are presently being supplied from outside the state. Interested farmers from these districts will be given training soon and they will be apprised of the structure of the trade and scope. "This is a commercially viable option and farmers can reap good profits.If the production goes high, our farmers would also be fulfilling demands of other markets outside the state. "We expect that the demand of such flowers, which are mainly sold by florists and street vendors, would be locally fulfilled in coming years. Presently, cultivation of cut flowers, dutch roses is under experiment at a center of excellence in Bassi near Jaipur and has delivered encouraging results and we now plan to expand it in other suitable parts of the state," he said. A park of Lilium and tulip will be developed on 40 hectare land near Behror on Jaipur-Delhi highway in next two months for which Chief Minister Vasundhara Raje has given her nod. Flower business in the state remains normally picks up during the festival and marriage seasons. In routine days, demand of over 50,000 kg flowers remains in Jaipur flower market which is a big flower center in the state. Pushkar, Jaipur, Kota, Bharatpur are the main areas for flower cultivation in present and Pushkar is known world over for rose farming. The present farming of marigold, rose and other flowers are fulfilling the daily needs of temple towns within and outside the state. Whereas Puskhar town a rose hub-- fulfill the demand of roses in the market of Ajmer dargarh, areas in Eastern parts of the state produces marigold and the flowers are sent to towns outside the state such as Mathura, Vrindavan and Varanasi in Uttar Pradesh. The week-long Cochin Flower Show, south India’s largest, is all set to start from January 9 at the Jawaharlal Nehru International Stadium here. For the first time, the show will be held in the 12,000 sq ft air-conditioned pavilion. And it will have themes such as Palace, Horror, Comedy and Ravi Varma paintings. About 18, 000 flowering plants brought from overseas and other parts of the country will be on display in the seven-day event that cost Rs 40 lakh. “The ticket charges remain more or less the same as last year – Rs 40 for adults and Rs 20 for children. The flowering plants include 1500 roses, 1000 anthuriums, 1000 orchids, chrysanthemums, marigolds, dahlias, petunias, gerberas, salvia and bonsai, among others,” said district collector P I Sheik Pareeth. The flower show has been organised by the Ernakulam district Agri-Horticultural Society, and will be inaugurated at 5.30 pm on Thursday. Flowers have been imported from 25 noted nurseries and the public can buy the flowers from their stalls, said D Radhakrishnan Nair, secretary of the flower show. He added that vegetables can be bought at 30 per cent discount from the stalls of Horticorp, and visitors will also guided on how to set up their own gardens. The flower show will conclude on January 15. There will be a ‘Flower Prince’ and ‘Flower Princess’ contest, in which over 100 children between the ages of four and 14 years are expected to participate. Prizes for best garden in various categories will also be given. The Cochin Flower Show-2014, organised by the Ernakulam District Agri-horticulture Society, will kick off at Jawaharlal Nehru International Stadium on Thursday. Varieties of flowers, fruits and vegetables will be displayed at the flower show, considered to be the biggest-ever such show in South India. The seven-day programme will end on January 15.A major catch of this year’s event is that Horticorp has decided to open a stall to sell vegetables and fruits at 30 per cent discount.According to District Collector P I Sheik Pareeth, who is also the chairman of the flower show committee, this year’s event would be conducted differently. As part of a novel initiative, ‘Vismaya’, a floral theme pavilion, will be set up in the 12,000 sq ft air-conditioned space. “Four unique pavilions will be set up as part of the event. A palace pavilion is being set up to showcase how flowers can be used and adorned in palaces. In the horror pavilion, flowers will be used against the backdrop of horror themes such as deep dark forests. A comedy pavilion will illustrate flowers alongside comical characters. Ravi Varma pavilion will be a fusion of 18th Century paintings and flowers,” Pareeth said.Experts in ornamental flower decorations and art directors have been roped for the conduct of the event. 18,000 flowers will be exhibited at the show. The organisers said 1,500 rose varieties, 1,000 anthurium varieties, 1,000 orchids, chrysanthemum, marigold, dahlia petunia, gerbera and salvia will be exhibited. Herbal plants will also be showcased there.The District Collector said the state agricultural department, Vegetables and Fruits Promotion Council of Kerala, farm information bureau, KBPS and Horticorp will participate in the event. Institutes outside Kerala -- Precision Agri Tech, Pune, Indo-American Hybrids and Plantek International from Bangalore -- will also make their presence felt at the show.Plant varieties grown in 25 famous nurseries in Kerala will also be sold at the event at reasonable rates.To add fervour to the event, a flower king and queen will be crowned on Sunday. Children between 4 and 14 years of age can participate in the contest, which is being jointly organised by Modon management group and Lukmance Model Management.Garden competitions will also be held for participants from government departments and private institutes.A garden titled ‘Veetil oru poonthottam’ will also be set up to promote gardening among the audience.The total cost of the project is `22 lakh. Thrikkakara MLA Benny Behanan will inaugurate the function at 5.30 pm. Mayor Tony Chammany will be the chief guest. Hibi Eden MLA will inaugurate the theme pavilions, while GCDA chairman N Venugopal will inaugurate the floral pavilion.The city corporation’s opposition leader M J Jacob and Councillor Agy Varghese will also be present.The agricultural society will charge `40 for adults and `20 for children. Kenya may lose its position as the world's biggest horticultural exporter, in the wake of the rising cost of production, compliance bottlenecks and uncertainty over trade talks between the EAC and the European Union. The Kenya Investment Authority (KenInvest), the body charged with promoting investment in the country, says the horticultural sector, especially the cut flower business - which brings in the bulk of horticulture income - is facing threats which could complicate its current standing as the world's leading source market. "Ethiopia could become more competitive than Kenya, while India could overtake Kenya in floriculture, if the challenges are not addressed," said Moses Ikiara, KenInvest managing director. Currently, India's flower exports are about a tenth of Kenya's. Data from the Horticultural Crops Development Authority (HCDA) shows that in 2012, Kenya's flower exports stood at $503 million, a four per cent drop from $523 million in 2011. Output increased marginally to 123,000 tonnes in 2012, from 121,000 tonnes the previous year. India exported flowers worth $59 million during 2011-12, a growth of 23.3 per cent from the previous year, with projections to double the revenue by 2015. Ethiopia's horticulture industry earned $265.71 million during 2011/12, up from $224 million the previous year, a 19 per cent increase. Flowers constituted the biggest share of horticultural revenue, earning $212.56 million in 2012, up from $178.3 million in 2010/11. In Kenya, production costs have gone up by more than 30 per cent over the past year; mainly on labour, power, fuel, chemicals, fertilizers and other inputs. The sector currently pays 41 different taxes and levies to various government bodies, including the Kenya Revenue Authority (KRA) and the HCDA. The cost of compliance is expected to go up with the new devolved system of government that proposes to introduce a cess on farm produce. With the aim of developing better floriculture production technologies to improve the yield and quality of flowers, the post graduate students (M. Sc floriculture) of College of Agriculture, under the aegis of Panjabrao Deshmukh Krishi Vidyapeeth (PDKV) Akola, are conducting research by use of certain micronutrients and growth regulators. Though the actual research results are yet to be optimized, the initial results are quite promising. "Use of certain micronutrients, like iron and zinc, in particular quantities has already shown very good increase in quality and size of flowers as well as the overall yield. It is an effort to introduce yellow Marigold, which is essentially a Kharif crop, as a winter crop. If the experiment succeeds, these flowers will be available round the year. Efforts are also on to improve the duration of retention of flowers on the plant as well as shelf life or 'vase life' of the flowers," said DM Panchbhai, professor of horticulture, Agriculture College. Prof Panchbhai and his colleague Neha Chopde, assistant professor in the department, and the research students give special credit to associate dean Prof VS Gonge, a horticulturist himself, for motivating them in the research. "Sir is himself in the field early morning to supervise the developments. This motivates students and encourages them to be more sincere," Chopde observed. Since the M. Sc horticulture (floriculture) degree course is only available in Nagpur under PDKV, the present research is being looked as a stepping stone for an overall improvement in floriculture in the region. Prof Gonge said that since farmers in the region were already into floriculture, getting better production technologies was their obvious expectation. "Post graduate students can opt for both laboratory or field research. This project will not only prepare students for further continuing with field research for their doctorate but will also prepare them as skilled entrepreneurs. Most of our students come from rural background. So diversified agriculture can act as a boon for them," he said. The present project involves research in mainly flowers like gladiolus, rose, chrysanthemums, tube roses, marigold, aster and annual chrysanthemums. Prof Panchbhai informed that the project is also using the Nag River water which is otherwise highly polluted. College has set up a 'phytorid' treatment plant with a capacity of 1 lakh litre water daily with the technology developed by city-based National Environmental Engineering Research Institute (Neeri). Drip irrigation technique is being used to water the plants on the research plot. A special horticulture laboratory has been developed to test the results of various research work done under the project. The students team, comprising Swapnil Raghatate from Kuhi, Vilas Tembhare from Deori, Pranali Meshram from Sakoli, Mrunal Mohalkar from Amravati and Neha Nehare from Wardha, are all working on different flowers and aspire to take up floriculture as a profession in their respective villages. Preparations are in full swing for the ensuing State Agri-Horti Show 2014 scheduled on 18-19 January, 2014 at Saramsa Garden. This is an important event in the agriculture calendar fo the State. The event is being organized to encash the percolating benefits of the International Flower Show held in February 2013. The inaugural function will have the presence of important dignitaries from Government of India. The number of footfalls for the event is expected to cross 10,000. The visitors will mainly comprise of farmers, entrepreneurs, various stake holders linked with agriculture and horticulture trade, traders, agriculture scientists, officials and tourists. The event comprises of exhibition, competition, seminar and conference including kisan gostis. Different kinds of horticulture produce including fruits, vegetables, spice crops, flowers, organic products, agricultural crops including cereals, pulses, oil seeds etc will be displayed for the benefit of visitors. Also on display will be technological innovations like different kinds of green houses, micro irrigation systems, water management structures; modern types of farm implements, different organic inputs etc. The farmers would be vying for awards in different categories of competitions and the winners will be suitably rewarded. Around 10 progressive farmers will be felicitated with citation and cash award. Two nos. of publication on organic farming and a vision document on round the year crop production system are slated for release during the event. The fragrance of roses and tube rose flowers would now spread in Trans-Yamuna belt of the Sangam City as authorities of district horticulture department take up a rose cultivation project in Chaka and Karchana blocks of the district. The officials have chalked out an elaborate plan to cultivate hybrid varieties of roses including flower buds and selected one hectare land in Chaka block for the cultivation. District horticulture officer, PK Shukla said, "We have, under the initial phase, started cultivation of roses in Chaka block and later it would be taken to Karchana where climate conditions are found to be favourable for the same." He, however, further added that the farmers here are not much aware about hybrid varieties of roses and rose bus are being currently brought from Kolkata for cultivation. He also claimed that farmers are more interested in cultivation of desi gulab due to its demand in market but we are making efforts to apprise them of the latest and advanced technique being used in rose cultivation. Rose cultivation expert, Anil Dubey told TOI, "Initially, we have formed groups of farmers and apprising them about the right method of rose cultivation where they were also briefed about the hybrid varieties." He further added that the department has already prepared a comprehensive action plan for it. Claiming that neighbouring district Varanasi is already known as rose hub, he said that sincere efforts are underway to increase rose cultivation in the Sangam City too in view of the great demand of roses in markets. "The demand of roses in Varanasi is more due to tourist influx and more numbers of hotels there but we are making similar attempt to increase production as well as getting hybrid varieties after noticing that people of Allahabad too are getting attracted towards rose culture for gifting as well as for decorating their home," said an official. In current scenario, rose cultivation is turning out to be a profitable business all across the state due to the increasing demand as well as price of the flower in market. The farmers are adopting modern methods for farming. Looking at the market trend the officials of horticulture department have motivated farmers for cultivating hybrid variety of roses, flower cultivation and make them economically strong. After finding suitable weather and land conditions, farming of rose, tube rose, gladiolus and hybrid rose varieties would be carried out. Under the project, farmers would be given all sorts of facilities for flower farming. Besides, rose buds and plants of roses would also be provided to the farmers. Dubey, meanwhile, said three varieties of roses including small rose, buds and desi gulab are currently in demand in the city areas. "However, we have selected a group of farmers who, apart from imparting training in rose cultivation, would also be apprised of the right method of rose cultivation for a high yield of good variety of roses even in limited resources," he said. A rose cultivator said, "The ideal temperature for roses is 25 degrees Celsius during the day and 15 degrees Celsius at night", he added, "In Maharastra, around 60% of rose varieties are grown for export purposes under poly-houses and farmers get better results. In Allahabad the weather and other conditions are suitable for rose cultivation in open fields," he informed. The Cabinet Committee on Economic Affairs has approved a Mission for Integrated Development of Horticulture (MIDH) for implementation during the 12th Plan with an outlay of Rs. 16,840 crore, a centrally sponsored scheme. Out of this, State governments will be contributing a sum of Rs. 866 crore in the States where the National Horticulture Mission (NHM) sub-scheme is implemented. Implementation of MIDH is expected to achieve a growth rate of 7.2 percent in the horticulture sector during the 12th Plan, besides generating skilled and unskilled employment opportunities in rural and urban areas. The scheme will cover all States and Union Territories (UTs) of India. While the NHM scheme will be focusing on 18 States and UTs, the Horticulture Mission for North East and Himalayan States (HMNEH) scheme will cover all States in the North East and Himalayan region of the country. While these schemes will be focusing on small and marginal farmers, National Horticulture Board (NHB) scheme will address developmental issues on commercial horticulture through entrepreneurs involving institutional financing. The National Bamboo Mission (NBM) will address developmental issues on bamboo, whereas the Coconut Development Board (CDB) schemes will focus on development of the coconut sector. The strategy of the MIDH will be on production of quality seeds and planting material, production enhancement through productivity improvement measures along with support for creation of infrastructure to reduce post harvest losses and improved marketing of produce with active participation of all stake holders, particularly farmer groups and farmer producer organizations. The Mission will cover about 4.5 lakh hectares under rejuvenation of senile plantation, 0.18 lakh hectares under protected cultivation besides bringing about 11 lakh hectares under new horticultural crops along with establishment of about 19,000 post harvest management and market infrastructure. MIDH will subsume six ongoing schemes of the Department of Agriculture and Cooperation on horticulture development viz. three Centrally Sponsored Schemes of NHM, HMNEH, NBM, and three Central Sector Schemes viz. NHB, CDB and the Central Institute for Horticulture (CIH) Nagaland. The interventions under MIDH will have a blend of technological adaptation supported with fiscal incentives for attracting farmers as well as entrepreneurs involved in the horticulture sector. India has a wide and varied horticulture base, which includes fruits, vegetables, tuber crops, mushrooms, spices, medicinal and aromatic plants, flowers and foliage and plantation crops like coconut, areacanut, cashewnut, cocoa and bamboo. The horticulture sector has been an engine of growth for the rural economy while providing food and nutritional security to the people. Implementation of the Centrally sponsored and Central sector schemes has provided necessary stimulus to the horticulture sector, which has enabled the achievement of a healthy growth rate in the sector. It has been proposed to maintain this stimulus during the 12th Plan and also to maintain the tempo generated during the 11th Plan. Implementation of NHM, HMNEH, NHB, CDB and CIH schemes during the 11th Plan has enabled the bringing of an additional area of 23.5 lakh hectares under horticultural crops with supporting infrastructure in term of 2306 nurseries, 78 tissue culture units, 9156 post harvest management units and 221 markets. Horticulture production of 257.3 million MT was achieved by end of the 11th Plan. Panaji: Israel, known worldwide for its expertise in agriculture, will help Goa in rejuvenating the sector and its allied segments. Officials from Israel today held parleys with Goa Government on exchange of knowledge in agriculture field so that allied segments like horticulture and floriculture could be encouraged in the coastal state. Consul General of Israel in Mumbai Jonathan Miller met Chief Minister Manohar Parrikar and held discussions on providing technical-know how to the State on rejuvenating the horticulture and floriculture sectors in Goa on lines with Israel, officials said today. An Israeli delegation has been holding a series of meeting with Goa Agriculture Department officials, including Director Prajapati Toofani, to ascertain whether agriculture projects can be taken up in Government-run farms. Ilan Divon, Consul, Economic Affairs, Consulate General of Israel, visited Government farm at Old Goa early this week. The Government is also looking at improving farmer training centres with the participation of Israeli experts. "Israel is ahead in terms of farmer training and if we can get their expertise, it will help the agriculture sector in Goa," said Giriraj Vernekar, Officer on Special Duty to the Chief Minister. The Israeli Government intends to increase the scope of studies for Goa agriculture officers visiting that country as part of National Horticulture Mission, he said. Export Import Bank of India (Exim Bank) has identified horticulture and handloom sectors of North Eastern region has the two sectors where exports can "kick-start easily". It feels if the horticulture potential of the region is tapped properly, the region can "easily" double or triple it exports to the world market. "We would focus on horticulture and handlooms sectors as there are the two sectors in North-East where we have found that exports can kick-start easily. Everything is there. It does not disturb the environment, it is part of the culture of North-Eastern people, you don't require do anything great to get the process going and the potential is very large. We can easily double or triple our horticulture exports with very little effort. The government of India have got very attractive schemes. But things are not taking off. We need to get our acts together," said TCA Ranganathan, chairman and managing director of EXIM Bank. He said the difference between India and China in terms of production in horticulture sector was not much. But when it came to exports, China, he said, was 6 times ahead than India. The bank today organised a 'Round-Table' meet, where it lined up a host of experts and industry people to "sit together" and have "detailed discussions" with entrepreneurs, firms, NGOs and stakeholders from North-East; engaged in horticulture and handloom sectors. "We are a catalyst. My role is to help, catalyse, facilitate and bring people together. If ideas are there and need articulation and support we will provide them. We will help people get certification for patents, geographical indication (GI), branding and packaging," said Ranganathan, while interacting with media persons on the sidelines of the 'Round-Table' meet. Ranganathan added such interactions and meets between industry people and stakeholders from the region would facilitate drawing up a roadmap for sustainable production while also identifying avenues to create markets and linkages for farmers and entrepreneurs from the region. He further said that Exim Bank, through its comprehensive range of finance and advisory services, endeavoured to enhance productive capacity and entrepreneurial development in North-Eastern region, while also facilitating and financing export activities in the region.India is the second largest producer of both fruits and vegetables globally, after China, accounting for 14 per cent and 12 per cent, respectively, of global production. However, despite the large production base, India's share in global exports of horticulture products (fruits, vegetables, and processed fruits and vegetables) is low. India's export of horticulture is $ 2.7 billion (1.3 per cent of global exports) as compared to China's exports of $ 18 billion (9 per cent of global exports). With the state government discussing export prospects of Madurai malli with the Malaysian government, the jasmine growers of Uthappanayakkanur met here on Wednesday to consider the formation of an exporters' organisation or producers' company for the purpose. Around 50 of them gathered at the forest hall of the village where the officials from agriculture marketing department and National Bank for Agriculture and Rural Development (NABARD) briefed about the formalities. J Thavasu Muthu, secretary of the agricultural marketing committee in Madurai, said as the state government is discussing the export chances to Malaysia, the agriculture marketing department was asked to prepare the feasibility report. The committee has recommended 1,200 hectare of jasmine cultivation be carried out in Uthappanayakkanur belt for about 7 tonnes yield. Jasmine is predominantly cultivated in Tiruparankundram, Usilampatti and Chellampatti blocks and there is high potential to develop its cultivation in the region. "There are buyers for renowned Madurai malli, but the farmers should come forward to promise assured supply. The best solution is to form an exporters' organisation or producer's company," he said. C Murthy, deputy director of agriculture marketing department, asked the farmers to consider value-addition programmes to Madurai malli as well. "The importing parties may require the flowers as garlands and bouquets and the farmers should be ready with such skills so that they can make the best of any exporting opportunity," he said. Murthy explained the formalities of starting a producers' company to the farmers. The state government will be going for the third round of talks on the proposal, he mentioned. Two years back, 600 jasmine farmers had organised themselves into Farmers' Club under the aegis of NABARD and a Chellampatti-based NGO, Association for Rural Development (ARD), is coordinating with the farmers. There are 30 such farmers' club in the region covering 18 villages and they meet and discuss jasmine cultivation and trade opportunities regularly. R Shankar Narayanan, NABARD assistant general manager, said existence of 30 clubs for a single crop is unique. Though renowned for its unique fragrance and high demand, Madurai Malli growers are bogged down by the problems like the binding system where the farmers take advances from merchants and supply flowers to pay off the advances. They also lose out by way of unfair weighing and have to rely on loan sharks for cultivation expenses, the farmers said. T Andi, one of the farmers from Uthappanayakkanur said, exports appeared ideal for them but the terms and conditions should be thoroughly discussed amongst themselves. "There should be representatives from all the villages who can coordinate the farmers," he said. Davamani, another flower farmer said, value-additions to jasmine is possible. However, the farmers also pointed out to the lack of workforce and scanty rainfall this season taking its toll on flower cultivation. Farmer A G Pandi of K Perumalapatti said that they will work together to succeed in this venture and urged the officials with guidance. Narayanan explained to the farmers that the venture will be owned and operated by the farmers and the officials will only assist them with guidance and funds. The exploratory meeting will be the beginning and meetings will be held with the farmers to form the producers' company, he said. Saffron sowing has begun in the Kashmir valley with the help of modern expertise, gradually replacing the traditional methods. The modern type of saffron sowing has begun this year under the centrally sponsored saffron technology mission. Under this mission the saffron growers are replanting their old corms after proper sorting and proper medication. This whole process is being done under the supervision of the saffron technology mission. The main aim of this process is to boost the saffron productivity in the region. The old corms are also being replaced with the new one at many places. The state agriculture department is bearing the cost of the labour required during this process. Experts believe that the using of the corms without proper sorting and medication has led to the downfall in the growth of the saffron. Corms weighing below eight grams are being taken out and planted in nurseries. Kashmir has been the main producers of the quality grown saffron in India, but since past few decades the production is on constant decline. The fragrant jasmine of Shankarpura which was accorded a geographical indication (GI) status in 2008, received the official approval from the Union government this year. Farmers in the region are hopeful that the status will give a boost to the export of the flower variety. The GI status means the produce is limited to a particular region. It also means that, no one from any other territory can claim a patent on Shankarpura brand of jasmine other than the farmers of the region. The battle to get the GI status was begun with the competition between Bhatkal jasmine and Shankarpura (Udupi jasmine). The recognition campaign was led by Andrew Lobo, a farmer. According GI status will not serve the purpose, unless it is listed in the international pricing mechanism, said Raghavendra Nayak, a progressive farmer, from Shirva. "The price of Shankarpura jasmine was below Rs 100 per atte in June. In previous years, the Zilla Kisan Sangha and the horticulture department had put restrictions on fixing the price below Rs 100 per atte. But, now that restriction is not followed," he added. Andrew Lobo, who is growing over 120 jasmine plants, told TOI that though many people have been talking about the export potential of jasmine to the Gulf and European countries, nothing concrete has been done in this direction so far. Prasadraj Kanchan, president of Udupi Chamber of Commerce and Industry told TOI, "There are buyers for the Shankarpura jasmine in foreign countries. Though air cargo service is limited, Jasmine can be exported through existing flights by providing extra space for cargo loading," he added. Another jasmine grower in Shankarpura told TOI that the Udupi Power Corporation Limited (UPCL) a thermal power project, emitting fly ash over Jasmine fields in the summer have resulted in the decrease of crop yield when there would be good demand. The department of horticulture had proposed the Union government to extend national identity to jasmine grown in Shankarapura region and finally succeeded in achieving it. Farmers are now hoping that the recognition will help them to market the flowers even in foreign countries and get good prices by facilitating export. Floriculture exports are likely to grow 17-20 per cent for the year ended March, on the back of increased shipment of cut roses during Valentine's Day early this year. Between April 2012 and February 2013, India exported 23,000 tonnes of flowers worth Rs 385 crore, growth of 16.6 per cent over the corresponding period in the previous year. "The export figures for March are not available. Going by the trend in the first 11 months of last year, we can estimate the full fiscal year exports in the range of Rs 425 crore," an official from the Agricultural and Processed Food Products Export Development Authority (APEDA), said. India exported flowers worth Rs 365 crore during 2011-12, a growth of 23.3 per cent over the previous year. Karnataka, Tamil Nadu and Andhra Pradesh are the leading flower producing states in the country. Uttaranchal and Mizoram are emerging as new centres for cut flowers. Some exporters from Tamil Nadu are engaged in the export of dried flowers from Tuticorin and account for Rs 60-80 crore worth exports annually. During Valentine's Day this year, exporters witnessed higher orders from Europe, Australia, New Zealand and the Gulf countries. Christmas and Mother's Day were other occasions that fuelled demand for flowers from the country. "Exporters from Bangalore alone exported four million cut flower stems worth Rs 6 crore for this year's Valentine's Day, about 10 per cent more than last year," Jayaprakash Rao, general secretary, South India Floriculture Association (SIFA), said. "Demand in the month of February was better than in other months. March was not so good this year. The producers could not convert the large number of enquiries into orders, as there were many problems to grow as many flowers. The acute shortage of water and supply of quality power affected our production. We even had to uproot rose plants due to shortage of water, which affected our supplies," Mammen Mappillai, managing director, Indo Blooms Ltd, a flower exporter from Bangalore, said. India's flowers are in great demand from traditional markets, such as Europe, Australia, West Asia and Japan. Besides, some exporters like Indo Blooms Ltd have tapped the Japanese market. The producers' problems are compounded by the shortage of labour and high transportation costs. "India's exports would have been much higher last fiscal, if the government had approved air freight subsidy in time. Many exporters could not fulfil orders due to the absence of subsidy," he said. India accounts for less than one per cent of the global floriculture trade, which is dominated by Kenya, Ethiopia, Ecuador and Colombia. Regions around Bangalore and Pune are the major production centres for cut flowers like roses and carnations. Union agriculture minister Sharad Pawar on Saturday said that he would take initiatives to set up national floriculture research centre in or around Pune provided the state government allots land for the project. He was speaking at the inauguration of the golden jubilee year of The Rose Society of Pune on Tilak Maharashtra Vidyapeeth campus in Mukundnagar in Pune. The society’s rotating chairperson Anupama Barve, chairman Deepak Tilak and joint chairman of the golden jubilee committee, Arun Patil, were present at the function. Rose expert from Bangalore, G Kasturirangan was awarded with Vijay Pokarna gold medal. Pawar said that the Central government had research centres for grapes, onion and garlic, but did not have such a facility for floriculture. He said that Pune and surrounding areas have a conducive atmosphere for floriculture and the state government should give land for the national floriculture research centre in or around Pune. He also said that if the state government does not provide the land, the proposed institute would be shifted to Bangalore as it was the alternative city for the proposal. Pawar said that though India was second after China in floriculture, its market share was not as big as compared to China. He expressed the need for Pune and surrounding areas to play a major role in becoming a big supplier in this market. Criticising the trend of setting up land saving committees, Pawar said that nowadays whenever one talks of demanding land for any project, a people’s committee against the project is established. He said that newspapers also give a lot of coverage to such committees making it difficult to get land for any project. Pawar said that the Centre had given highest priority to food security and after attaining self-sufficiency in the field of wheat, rice and sugar there was no problem at least with respect to availability of food grains. Instead, Pawar said that the major problem his ministry was facing was storage of food grains. He said that there was shortage of godowns after increased production of food grains. Madurai Malli, the famous jasmine variety from the region, is all set to become a global brand. A special incubator to create value chain has been set up at the Agricultural College and Research Centre here to address production and marketing constraints. An action plan has been prepared by the Tamil Nadu Agricultural University and the Hyderabad -based International Crops Research Institute for Semi-Arid Tropics (Icrisat) with support from the District Administration. A proposal to establish Madurai Malli Development Council, which will work jointly with the Agri-Business Incubator of Icrisat to explore new markets in India and abroad, is under consideration. ‘Madurai Malli’ is being grown on 1,250 hectares by 4,000-odd farmers in the district. A report prepared for the consultative meeting among growers, experts and floriculture officials has said that demand for jasmine is increasing due to its unique fragrance but there is a huge demand-supply gap of fresh flowers. Major sources of demand are the large consumer retail markets at Bangalore, Chennai, Hyderabad, New Delhi and Mumbai. The annual demand is estimated to be 10,500 tonnes while the district produces only 9,500 tonnes. Prices vary from Rs 60 a kg during high production months of April to July to Rs 700 during winter months (November-February). Major jasmine growing blocks in Madurai district are Thirupparankundram, Thirumangalam, Usilampatti and Chellampatti. The hurdles faced by growers include huge price volatility, debts with commission agents and lack of adequate cold storage facility apart from labour scarcity, seasonal fluctuations, lack of separate cargo facility for exports and absence of standard weighing machines in the flower markets. Resources are being mobilised for taking up the initiatives under ‘Madurai Malli Growers Development’ framework. An allocation of Rs 75 lakh has been proposed of which Rs 30 lakh would come from the district administration under the Collector’s Innovation Fund, sources said. Minister for Health, Horticulture and Floriculture, Sham Lal Sharma today said that the government was committed to provide every type of marketing support to the fruit and flower growers of the state to promote this lucrative activity in the state. The Minister was addressing flowers and fruit growers and a large number of public, after inaugurating a Floriculture Park at Chandian, Akhnoor. The park has been developed by Floriculture Department Jammu at an estimated cost of Rs 1.32 crore over an area 38,000 sft (7 kanals). Sham said that state’s economy is primarily rural, while horticulture and floriculture are major areas providing livelihood to the people and highlighted the significance of these sectors in the overall development of the state. He also exhorted upon the farmers community to come forward and take the benefits of the schemes launched by the government for boosting floriculture, horticulture and agriculture production. He said that the government was giving adequate subsidy on purchase of new equipments and establishing floriculture parks in the state. The Minister said that attention was required to be focused both on the production of quality horticulture produce and its proper export to the terminal markets ensuring substantial returns to the fruit growers. He informed that last year production in floriculture sector touched to 45000 metric tons and it is expected to go up by 60 metric tons during the current financial year. Sham said that the production and productivity of both floriculture and horticulture have shown remarkable increase during last three and half years. He said attention was being paid to increase the per hectare production from present 150 metric tons to about 200 metric tons within next two and half years. Appreciating the efforts of floriculture department for making new strides in strengthening the sector and ensuring welfare of the growers and other connected stockholders, the Minister emphasized the need to increase the per unit productivity and ensure better returns to the growers for their produce. He said that the processing and value addition to fruits and medicinal plants will not only improve income opportunities but also generate viable means of direct and indirect employment to both on farm and off farm activities. The Silicon Valley of India is known for a variety of seasonal flowers that are popular throughout the country where almost each day, flower growers, producers and sellers receive orders from various parts of the country. Best known for its varied shades and stems of roses, they are mostly grown in and around Bangalore like Doddaballapur, Kanakpura, Kolar, and Ooty. The International Flower Auction Board at Hebbal is the hub of all the local and imported flowers which are auctioned by different growers from the city and the state. It is from here that the flowers are auctioned and purchased by all the wholesalers and retailers. With the start of the marriage and festival season, it is big business for all floriculturists as this is the time, the demand for flowers like roses, tulips, gerberas and orchids is at its peak in the city. Apart from this, the city being a hub for many national and international events as well as important get-togethers in five star hotels, the demand for flowers goes up. Many flowers like Anthriums and Gerberas that are used for decorations during state functions, cultural events and wedding receptions are grown in Coorg and Ooty. But surprisingly, Brasica, an imported variety beats the list by being the most sold flower. It is well within the budget of the customer and flower size and its numerous colours match the customers’s demand. Imported flowers: According to Ram Chandra Reddy, Incharge of imported flowers in a private company, they handle all imported flowers within the K R market. Exporting to Asian countries like Dubai, Japan and Singapore, they have been in the floriculture business for 15 years. However, they claim that imported flowers that are expensive are not popular in the city. “Flowers are as important as the variety of food preparations made in any kind of traditional or modern weddings,” says Deepu, Om Sri Sai Flowers. Flowers that are imported from Ireland, Thailand and other Asian countries are very popular in high-scale weddings. But even Indian flowers like Carnations, Asiatic Liliums and Oriental Liliums too find a place like the imported ones in every function and season. On the whole, Reddy, says, “The scope for good sales in Bangalore is just not there. The problem is not only because of high prices but the high import duties and the long delivery time. One has to place an order almost a week before and it takes more than a week for it to fructify. It is better to deal with Indian flowers rather than hanker for imported varieties,” he concludes. This Valentine's Day India has emerged the second largest supplier of fresh cut flowers in the world, a study by e-commerce portal Alibaba.com said. With 18 per cent of the total buyer enquiries going to Indian SMEs (small and medium enterprises), India features as the second largest seller of flowers after Thailand, according to site analytics data from Alibaba.com. Based on the inquiries received by Indian suppliers on the world's largest B2B site in the last few months, the US and Syrian Arab Republic emerged as the largest market for Indian florists, accounting for 15 per cent and 13 per cent of search inquiries, respectively. Growing at a compounded annual growth rate (CAGR) of about 30 per cent, India's floriculture industry is likely to cross the Rs 8,000-crore mark by 2015, industry body Assocham said today. The floriculture industry in India is poised at about Rs 3,700 crore, with just 0.61 per cent share in the global floriculture sector, which is likely to reach 0.89 per cent by 2015, said a study titled, 'Indian Floriculture Industry: The Way Ahead' released by Assocham. Besides, the global floriculture industry is likely to cross Rs 9 lakh crore mark by 2015 from about Rs 6 lakh crore now and is growing at a CAGR of 15 per cent, it said. For this year's Valentine's Day, rose shipments from India have grown by up to 15 per cent owing to the rise in demand and increase in production from new areas around Pune and South Gujarat. Going by the shipment trends, total exports for the season could be around 13 million stems, says Mr Praveen Sharma, President of the Pune-based Indian Society of Floriculture Professionals. Exporters have seen improved orders as Valentine's Day this year falls on a working day, triggering higher sales. For a seasonal industry like floriculture, demand mainly spurts during Christmas, Valentine's Day and Mothers Day. For the first time ever, Israel will need to import flowers for Valentine's Day as a result of the drastic drop in locally produced flowers due to foreign competition. The industry has contracted 97% since its peak in the 1970s and 1980s when Israel produced 1.5 billion flowers a year, including 600 million roses. Many of these flowers were for export. Today the country grows only 20 million flowers a year, said Haim Hadad, head of Israel's Flower Growers Association. Growers in Ethiopia, Kenya, Tanzania, South Africa and other countries have seized a growing share of the export market because of their low labor and water costs with which Israeli growers can not compete. Inaugurating the Centenary Horticulture Show organised by the Mysore Horticultural Society and the Department of Horticulture, Chief Minister D V Sadananda Gowda was in awe of the colourful displays. The bi-annual flower show this year showcases not only various displays of flowers, fruits and vegetables from across the country, but the special highlight of the festival is a display of flowers from Holland. The Republic Day Flower Show that started from January 20 will be on till January 29 with special displays planned out for each day. “Last year over 6 lakh people visited the flower show and this year around 10 lakh visitors are expected. I wish I could take a day off from politics and take a walk around Lalbagh. It has been organised really well this year. The special attraction is the Holland display,” said the CM. The fall in the value of the rupee couldn't have come at a more opportune time for exporters of cut-roses - on the eve of Christmas, New Year. Valentine's Day too, is not far. "The rose export market is going to gain from the fall of the rupee ahead of New Year and Valentine's Day," said Jayaprakash Rao, general secretary, South India Floriculture Association (SIFA), an export body run by rose growers. The body owns 51 per cent stake in the International Flower Auction Bangalore (IFAB). "This year cut-rose exports will see an increase of up to 10 per cent due to value depreciation of the rupee," Rao said. He has ruled out any impact of the European crisis on the cutrose export market for India. "A 2008 recession will not be repeated as far as the cut-rose market is concerned," he added. Mr Dellings Phiri, Managing Director of the Malawian Seed Co Malawi Ltd, along with the company's Commercial Manager, Mr R. Chiwa, was busy taking down notes, receiving brochures from Indian seed, agri-input and agri-tech firms at the India-Africa Economic mission meet. They are part of a delegation that represented eight countries in Africa. None of these delegates wants Indian investors to come there and buy land. In the last few years, a trend had virtually emerged in most of the 54 countries in Africa that made the dark continent a happy hunting ground for rich countries and foreign companies with deep pockets to buy land, grow crops and export produce back home. A silent revolution is underway in the rural areas of Karnal with small and marginal farmers switching over from wheat-rice cropping pattern to vegetables, fruits, flowers and spice cultivation for remunerative returns. The farmers have realised that the cultivation of rice and wheat in small landholdings is not a profitable proposition and they must diversify to other crops like seasonable vegetables, fruits and flowers for remunerative returns. Samaura village located on the Karnal-Yamunanagar road with a population of 2,500 has emerged as a major vegetable-growing area and green chillies and radish grown by the farmers here has earned a name in the market. Samaura, spread over 300 acres, has become a model for other villages. The farmers of this village have taken land on lease in the adjoining areas for the cultivation of seasonal vegetables, fruits, flowers and spices for supplementing their income. Karuturi Global, the city-based publicly-held floriculture major and one of the world’s largest exporter of roses which is aggressively rolling out an agriculture business venture in Ethiopia, is looking at outsourcing 20,000 hectares of farm land in the African nation to Indian farmers on a revenue-sharing basis. The company has leased 300,000 hectares in Gambela, in the western corner of Ethiopia. It has been looking to develop a bouquet of crops such as paddy, maize, cereals, palm oil, and sugarcane, among others, to cater to the huge demand in Africa and also look at the export market. According to senior officials of Karuturi, they have taken possession of 100,000 hectares, and after the completion of this, they will be able to take possession of another 200,000 hectares. India earned $48.5 million (around Rs 215.27 crore) from exports of flowers to over 90 countries last year. The government earned a total foreign exchange of $48.5 million (about Rs 215.27 crore) from the export of flowers during April 2010 to December 2010, according to the official data. The country had shipped 21845.65 tonnes of flowers to 93 countries during the period, according to data presented by Minister of State for Agriculture Harish Rawat in Parliament last week. India and China have large chunk of areas under floriculture. Karnataka, Tamil Nadu and Andhra Pradesh are the leading flower producing states in the country. Largest quantity of Indian flowers (5,830 tonnes) were exported to the USA worth Rs 44.81 crore during April-December 2010. As the Eid-ul-Fitr is nearing, the prices of flowers of various varieties have increased considerably and in certain cases the shopkeepers and vendors have shown less enthusiasm because they think that on Chand Raat and the Eid day the commodity will be sold at even steeper prices than the present ones. Owing to increasing demand of variety of flowers on the eve of Eid, the flower shops across the City have increased prices, especially those at The Mall and in posh localities taking plea that extra purchase has widen demand and supply gap that caused surge in prices at the wholesale flower market near Saggian Bridge. India's share in the world flower market is less than 1 per cent despite vast potential for increase in area under floriculture, Parliament was informed on Tuesday. Minister of State for Food Processing Harish Rawat said in the Lok Sabha that the country's share in the global flower market is less than 1 per cent. Jammu & Kashmir governor N N Vohra on Friday said that the state had vast potential in agriculture, horticulture, floriculture and fruit processing industries to generate large-scale economic and employment opportunities. He added that agricultural universities, state government extension agencies and the corporate sector could beneficially coordinate their efforts and plan to work through the newly-elected panchayats. The governor was interacting with a delegation of the PHD Chamber of Commerce and Industry (PHDCCI), which called on him. The 6-member delegation was led by Salil Bhandari, president, PHDCCI. The recent rise in diesel prices, an increase of Rs 3.78 per litre, is expected to push the production and input cost of flower growers in the state. The reason being, the floriculture industry is heavily dependant on transportation of flowers to various destinations. The industry also relies on generators that run on diesel. Industry stakeholders said it's ultimately the producers who would have to bear the brunt, as the production cost rarely determines the market prices of flowers, since the market is dictated by buyers as well as the demand and supply principle. It’s that time of year when thousands of tourists flock to the Netherlands to admire the fields of flowers in full bloom. The Keukenh of park is world famous for its floral displays, mostly composed of the Dutch national flower, the tulip. In Indian Kashmir, the Siraj Bagh tulip garden is trying to rival its Dutch counterpart.The garden - Asia’s largest- has grown substantially over the last few years. In 2007 the park was created on the banks of the Dal lake with 350,000 tulip bulbs in an area of 12,3 acres (50,000 square metres). This year, the gardens expanded to almost 1,5 million tulips spread across 20 acres (81,000 square metres). Bhatkal Jasmine, which is limited to Bhatkal taluk has been spreading its fragrance in Dubai where this beautiful flower has great demand. Bhatkal jasmine is available in Mangalore, Mysore and Bangalore too. 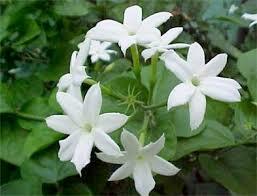 According to the horticulture department, jasmine is grown on 20 acres in Bhatkal taluk. Nearly 120 farmers are engaged in its cultivation Women's self help groups have also taken up the cultivation. The Netherlands, the world's top flower exporter, sold 3.6 billion flower bulbs abroad in 2010 -- a two percent rise on the year before, the Central Statistics Bureau said on Monday. But while sales volumes increased, the value of the flowers sold dropped by six percent to 313 billion euros ($ 444 billion), it said in a statement. Alphonso and Kesar are the largest selling varieties and besides the huge domestic demand; a lot of mangoes are exported to markets like the UAE , Europe and Asia. With the US lifting a ban on Indian mango, it looks to be another promising market. APEDA - the body that tracks agricultural export for India says that this year New Zealand has also joined the list of countries. Japan and Australia are the next on APEDA's most wanted list of markets. Western Australian meat processors are preparing for the worst as sheep numbers continue to fall and price competition for livestock spikes. Two WA processors, Beaufort River Meats and Geraldton Meat Exports, have already experienced early shutdowns this year and expect operations to be closed for longer than usual. The earthquake and tsunami in Japan have struck a blow to Maharashtra`s rose exports to the country, since the Japanese tradition of Ohigan, which falls during the second and third weeks of March, marks the peak season for flower sales there. The Indian Agrochemicals Industry is expected to grow at 7.5%, to reach over $1.7 billion by 2012, driven by various factors including need for foodgrain self-sufficiency and the momentum in floriculture and horticulture sectors. India and Germany will sign a joint declaration next week to further strengthen bilateral cooperation in agriculture and food processing sector. Agriculture Minister Sharad Pawar , Food Processing Minister Subodh Kant Sahai and German Agriculture Minister Ilse Aigner will sign the declaration, according to a release issued by the German Embassy in India. "India is an important partner for Germany. We want to further develop Indo-German cooperation and together face global challenges such as the fight against hunger and climate change.... I look forward to the talks I will hold in India," Aigner stated in the release. The German agriculture minister, who will be here on a four-day visit starting November 14, will hold talks with ministers to explore ways to intensify bilateral cooperation in food processing sector, the release said. She will also look at strengthening participation in food fairs in Germany and vice-versa, flow of investment and transfer of technology. Aigner will attend an Indo-German business forum in New Delhi and thereafter visit German projects run by the Karl Kubel Foundation in Madhya Pradesh and talk on food security in Chennai. Jai Prakash Rao, a rose grower in Bangalore, is slowly looking at the domestic market for selling his roses than relying on exports. The reason is that higher freight charges, rising cost of production and emergence of other low cost producers like Ethiopia and Kenya are taking the edge out of the rose export market. Rao, who grows roses on five hectares of land on the outskirts of Bangalore, usually exports cut flowers on Christmas, New Year and Valentine’s Day to the US and the European market. “Higher freight charges, rising cost of production and more competition from other countries are forcing us to rely on the domestic market than going for exports,” Rao said. Even the price fetched by farmers in the domestic market was not sustainable in the long run, he added. According to traders, while the realization price for export varies from Rs 6.50 per stem to Rs 7.50 for farmers, it ranges from Rs 2 to Rs 4 per stem in case of domestic sale. “Though price fetched by farmers are higher in case of exports, there are risk factors like perishable nature of roses, lack of proper guarantee, currency risk and demand volatility in exports,” G Shankar Murthy, general manager of International Flower Auction Bangalore (IFAB) said.